Sara Dixon Spivy | Bannor & Bannor Inc. Sara Dixon Spivy | Bannor & Bannor Inc. 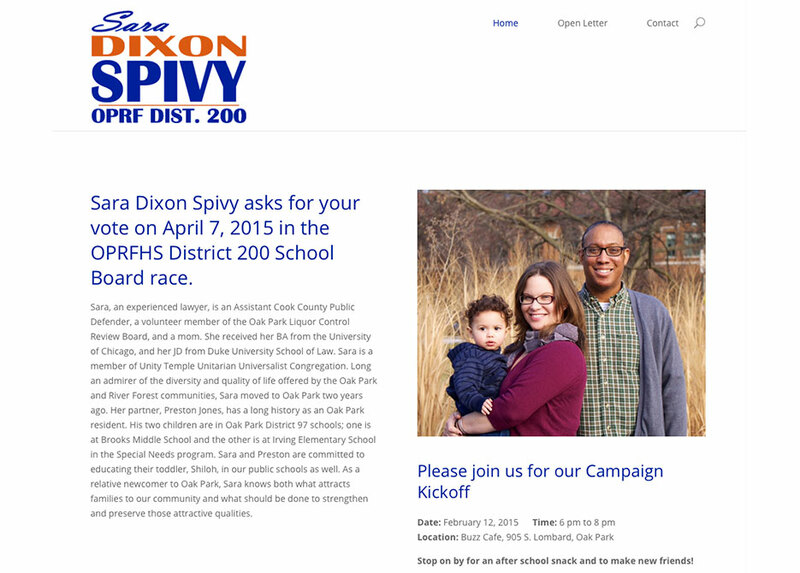 Create awareness of Sara Dixon Spivy’s run for OPRF District 200 School Board and give her a platform to share her views. Include a way to donate to her campaign. Provide event details through a newsletter signup, event calendar and Facebook feed. We worked with Sara Dixon Spivy to create a nice clean site that put the focus on her and her views. 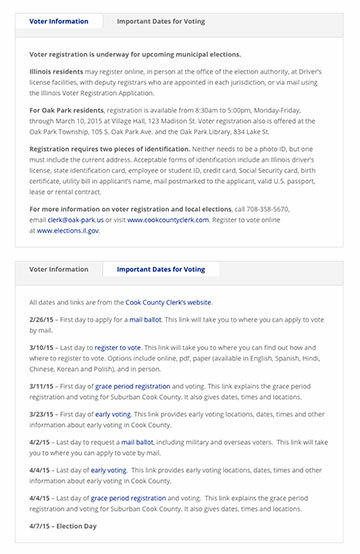 The top image shows a section on her homepage that gives voter information and important dates for voting in a tab format. This gives voters important information while conserving space.